Uluru is a significant historical landmark for the Indigenous past and present residents of Australia. Ayres Rock is unique in its shape and geology, which your experienced driver/guide will inform you all about on our Uluru Base Tour. The Kuniya Walk will lead you to the incredible Mutitjula Waterhole. Waterholes throughout Australia were an essential source of water for Indigenous men and women in the extremely dry landscape of the area. The Mutitjula Waterhole has been in existence for many thousands of years. We discover Aboriginal rock paintings within the area and learn about their historical significance. The traditional landowners of Uluru were the Anangu people. Join us at the Uluru- Kata Tjuta Cultural Centre as we observe a series of original ceramics, traditional paintings and various woodworks which are referred to as Punu. All these items are of significant historical importance to the original custodians of the land. Wine & Nibbles are provided for you on our Uluru Sunset Tour. 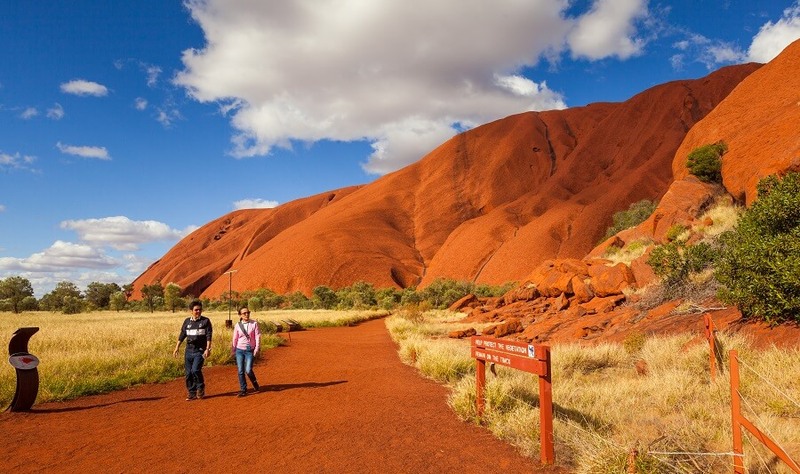 On your way to the Uluru Sunset viewing area, witness beautiful camels strolling through the park. The viewing area is spectacular for watching a stunning sunset in the Red Centre. Take the chance to sit back and relax, or go for a walk and find your own special area to witness the sunset. The Uluru Sunset is made even more spectacular as it sets upon Ayres Rock. Ayres Rock stands 348 meters in height and is one of Australia’s most significant landmarks. Although the rock is 348 meters in height, most of the rock's mass is found beneath the surface. The rock has a strong spiritual connection with locals. The sun sets over the western horizon, providing spectacular shades of colours that cover the face of the rock. 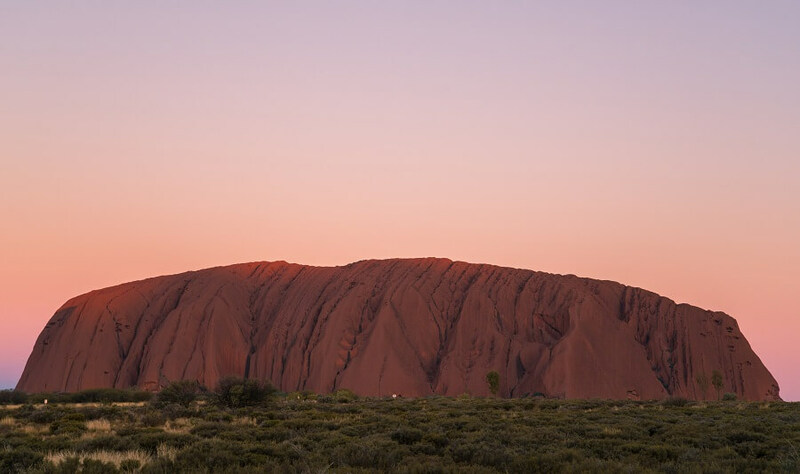 Join us on the Uluru Base and Sunset Tour as we learn about the history of the Indigenous community, and witness a truly spectacular sunset over Ayres Rock.